NOW TRUST US WITH YOURS. We believe our veterans should be celebrated year-round. 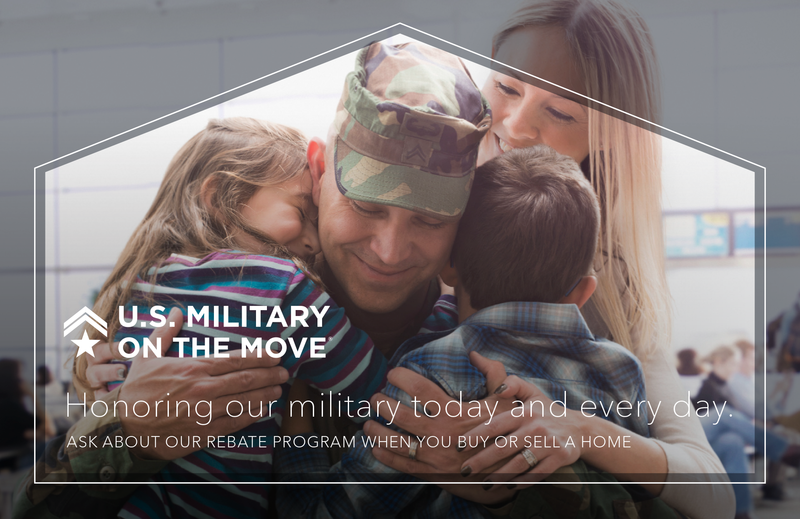 When you buy or sell through First Team Real Estate's Military on the Move program, you'll receive a credit at closing based on the actual sales price, at the time of closing. For example, if you purchase a $500,000 home and the commission earned by the agent representing you is $15,000, then you will receive a $3,000 rebate at settlement. There is no dollar limit on your rebate. First Team will connect you with an exceptional and experienced agent who is a top expert in their local market ensuring that your transaction is seamless. And the program is available for your transactions anywhere in the United States. You may also work with our loan officers. These home finance experts provide a myriad of loan options to further assist you in financing the home of your dreams. To find out more about our Military on the Move program, contact us by filling out the form below. *Rebates subject to lender limits. Rebates are not allowed in all states. In some states, a gift card or commission credit at closing may be provided in lieu of the Cash-Back bonus. You must register with U.S. Military on the Move® before contacting a real estate agent and be represented by the assigned real estate firm at closing to qualify. All real estate transactions are negotiable. Other terms and conditions may apply.